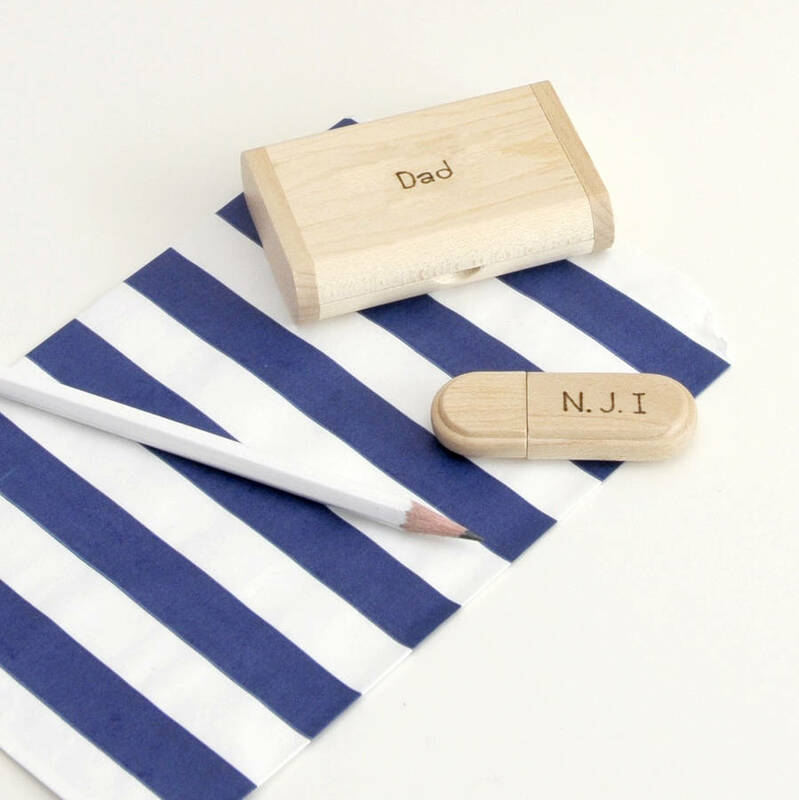 Dad would love this personalised memory stick which comes with its own box. 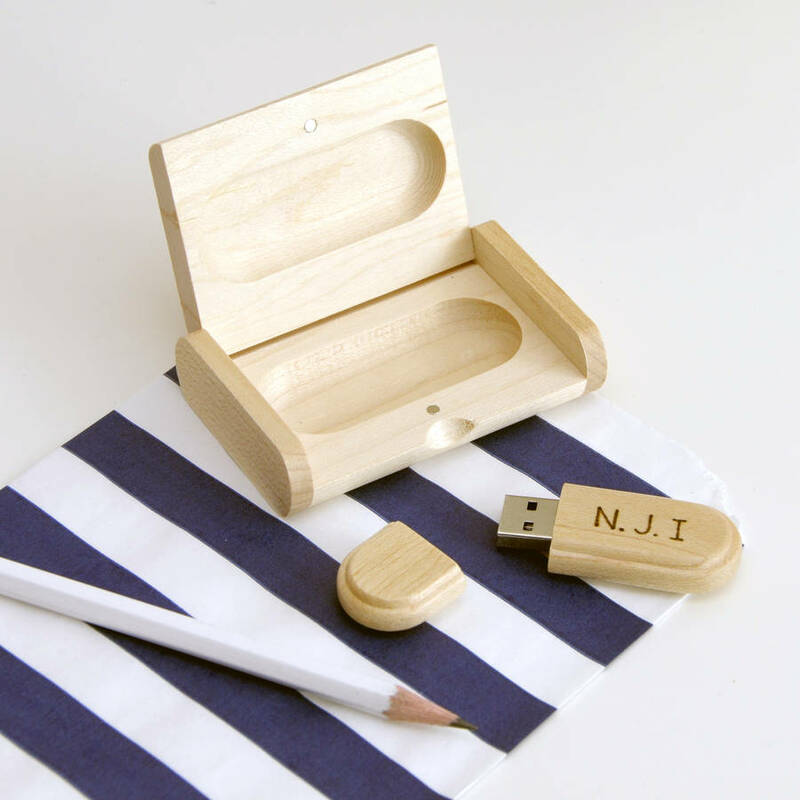 The wooden USB stick and the wooden box can both be personalised to give dad a present he will treasure. 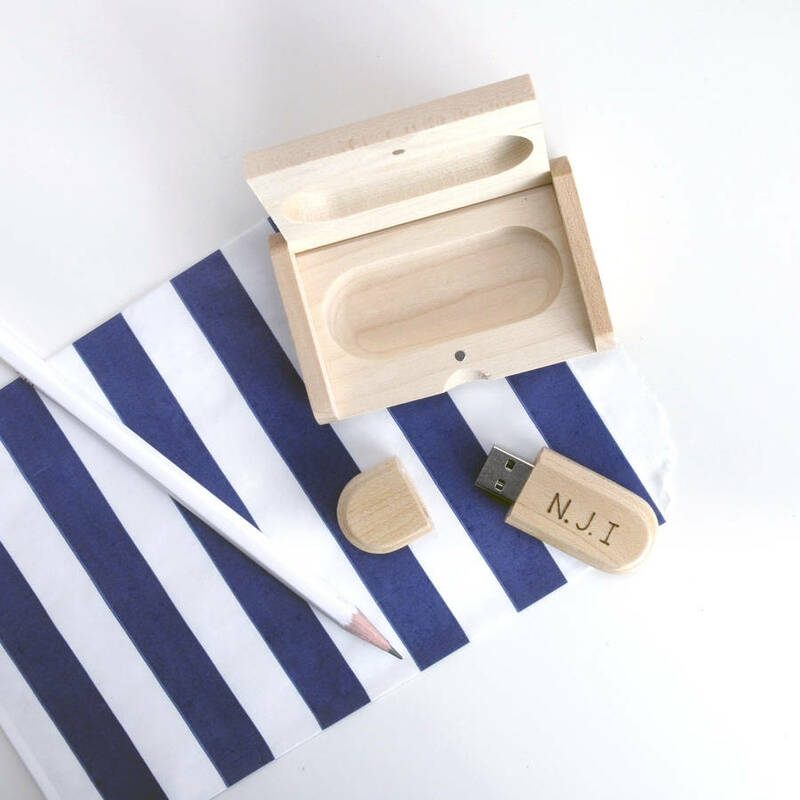 The USB stick itself can have up to three initials which are included in the price and the cute little box can have two lines of ten characters. 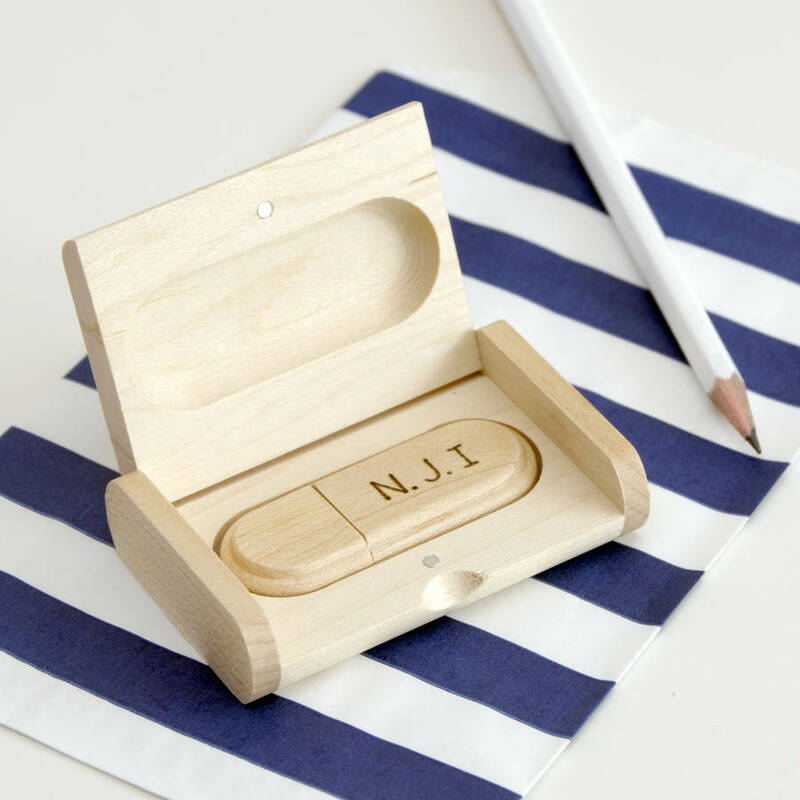 Of course you could also buy one for yourself and have your own initials on the memory stick and your own message on the box. The memory stick has a capacity of 16GB. It has magnet in the lid to keep it in place. You can also choose to give the USB stick in a gift box. Mainly from wood. The USB part is made from metal. The USB stick is 6cm long. 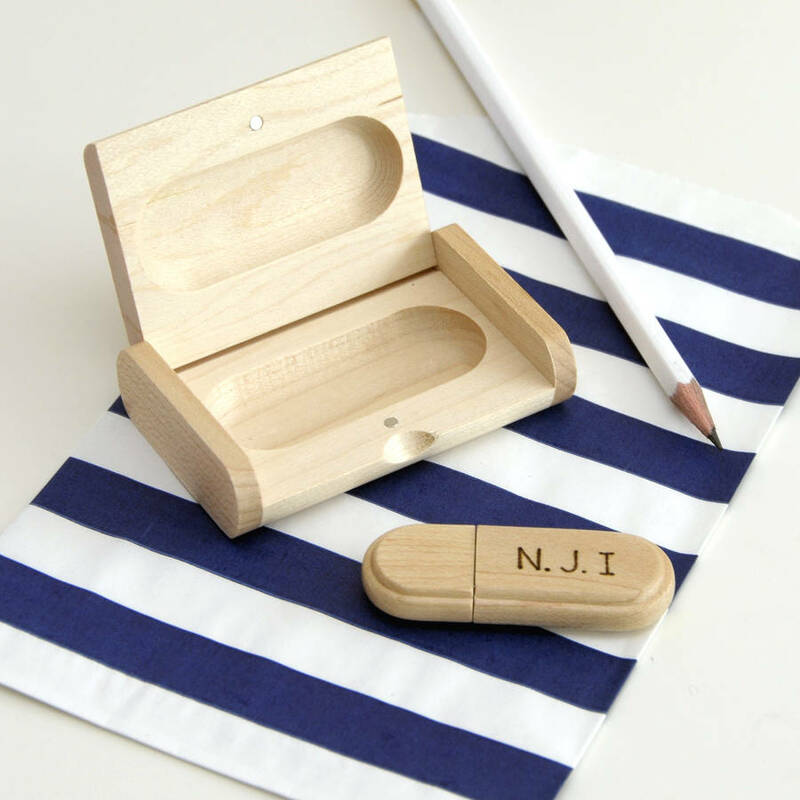 The wooden box is 8 x 5 x 2 cm.